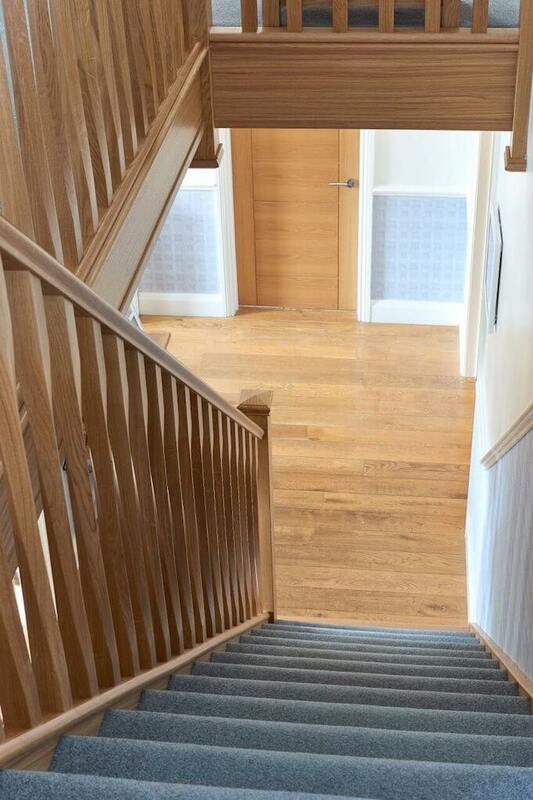 We are good with wood! 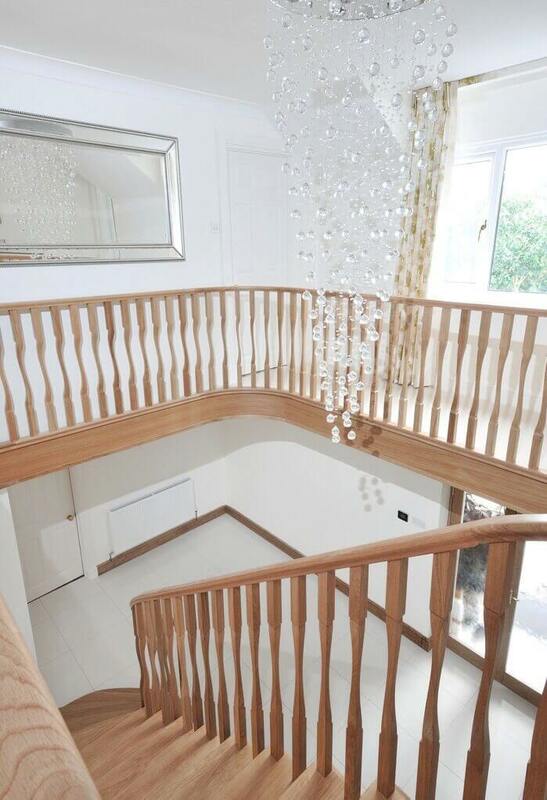 Our contemporary wooden staircases are sleek, modern and a sight to behold. 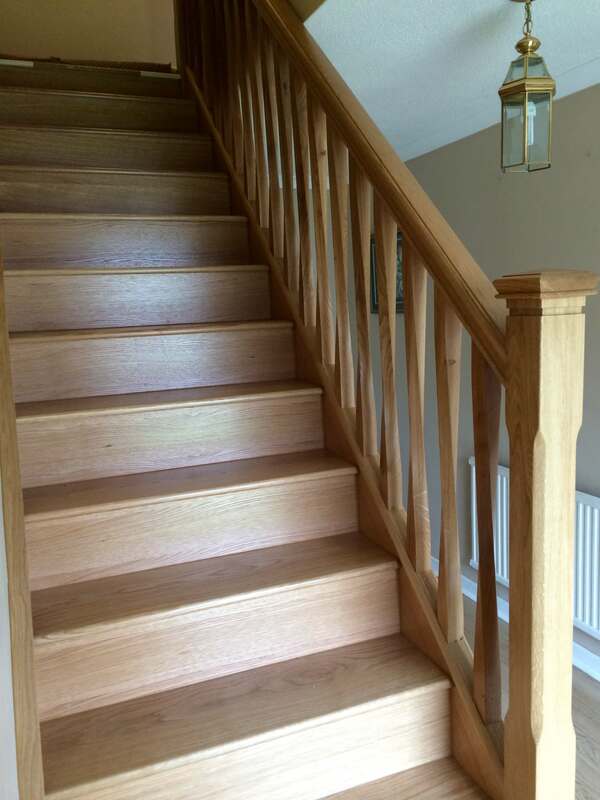 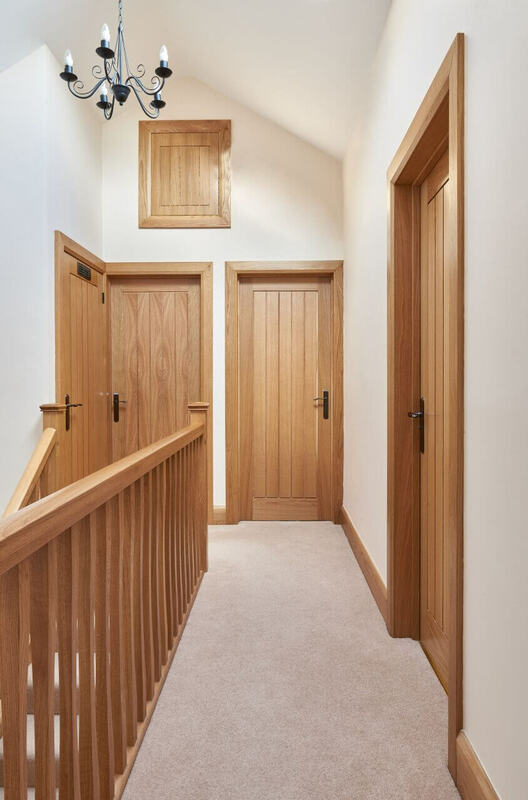 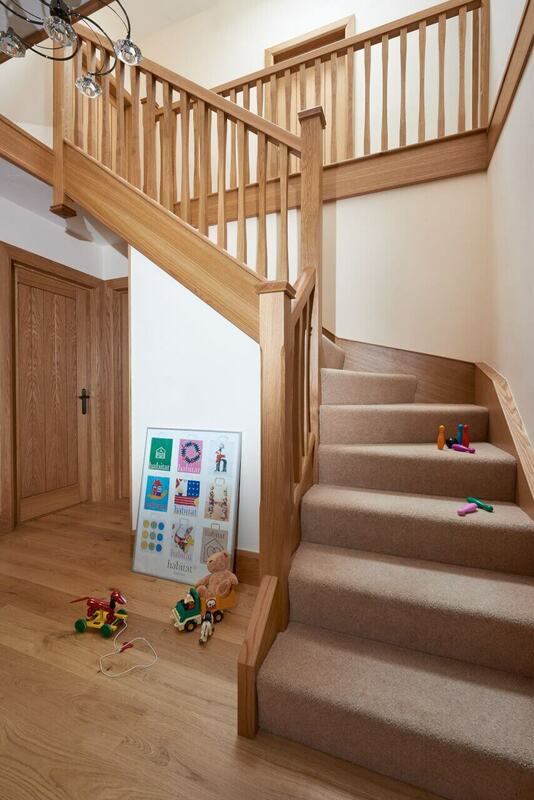 We’re passionate about the way that wood can be used to create genuinely bespoke staircases in whatever style best suits your home. 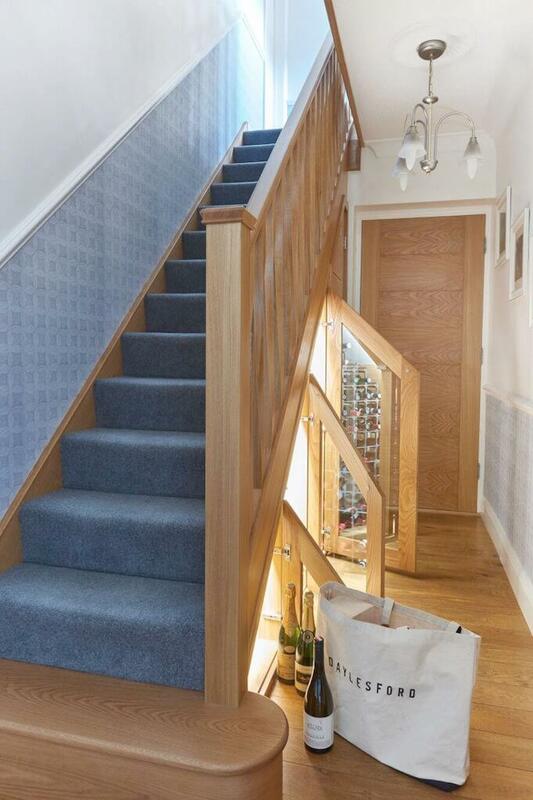 However you picture your staircase, we can design and create it, from cantilevered treads that float on air, to innovative combinations of metal and glass. 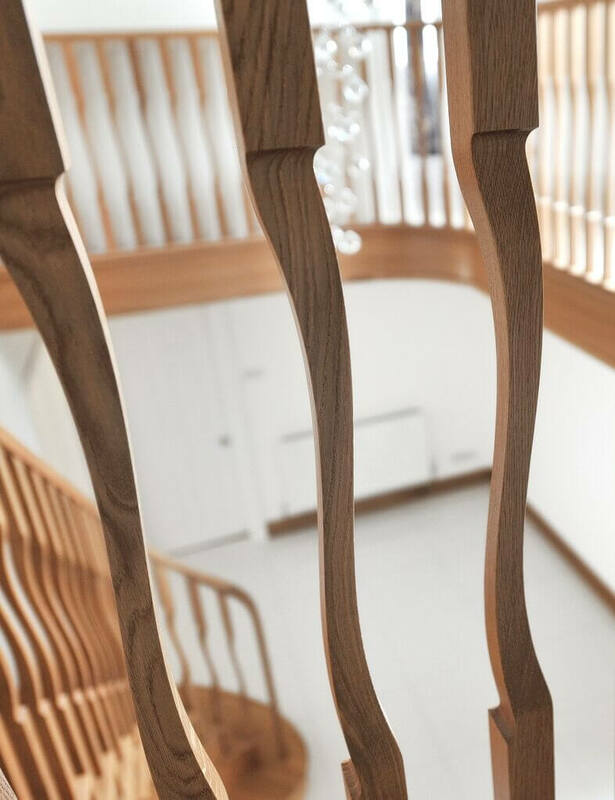 We can share our knowledge and expertise to help you select the perfect modern style of wooden spindle, whatever the size and shape, be they fat, thin, twisted, or even full of holes. 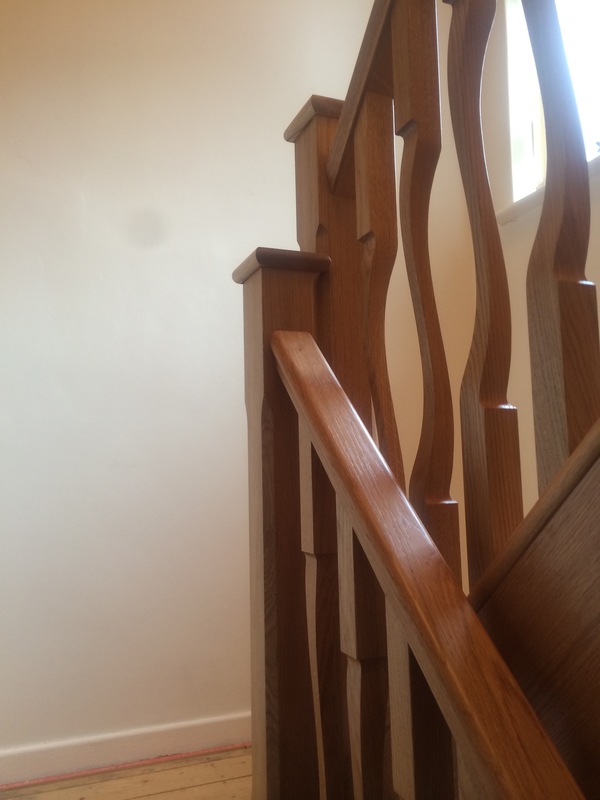 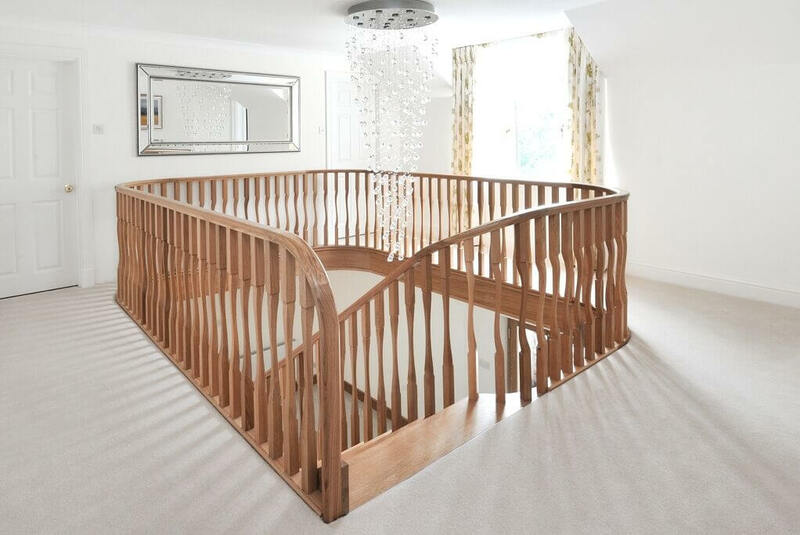 If your staircase is an unconventional shape, or it’s not and you want it to be, we’ll find a way to curve, bend and wind it into the perfect solution. 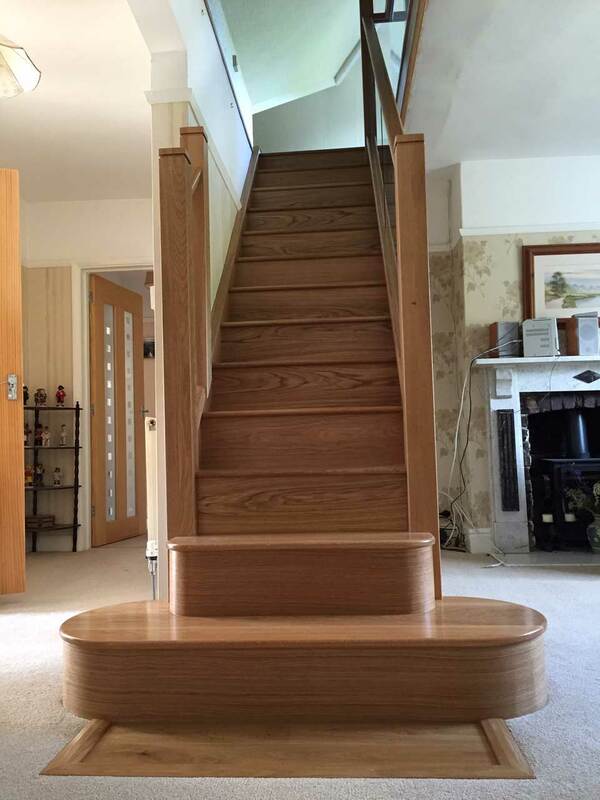 And for real impact, we’re also experienced in creating and installing floating, cantilevered staircases. 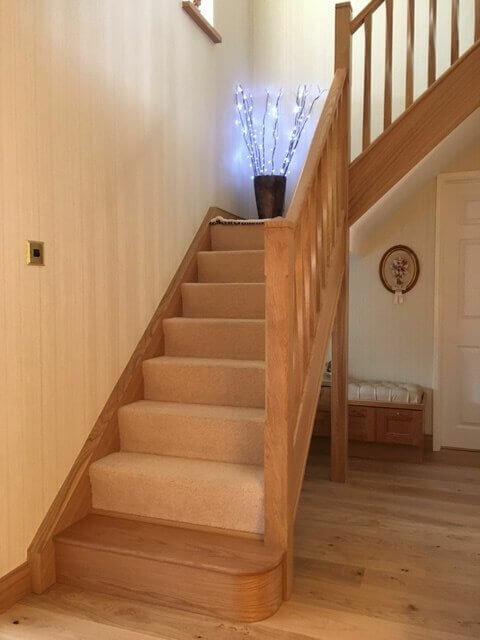 We want your staircase to feel as good as it looks. 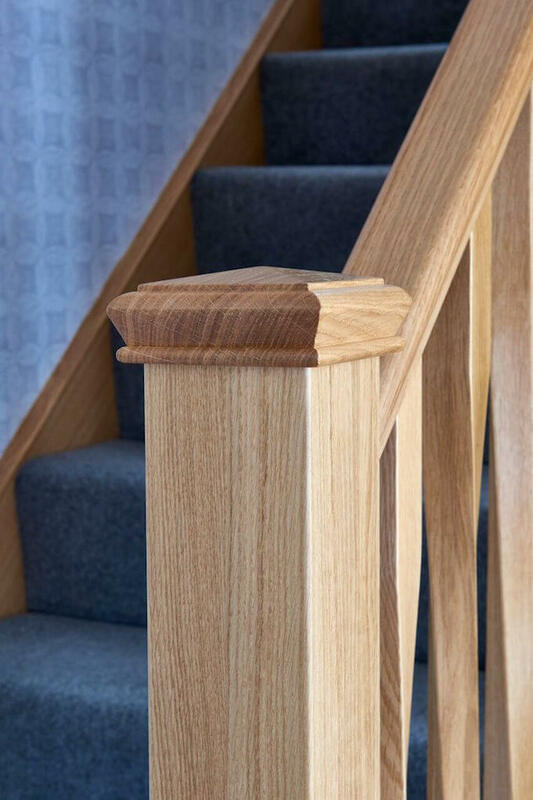 That’s why we take our time to discuss what material and finish is best for you. 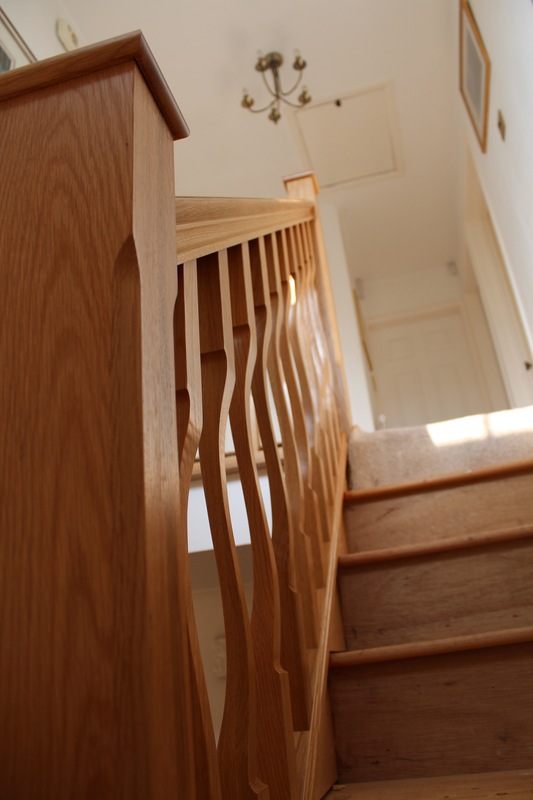 Whether oak, maple, walnut or beech, we’ll match existing wood to blend seamlessly with your home. 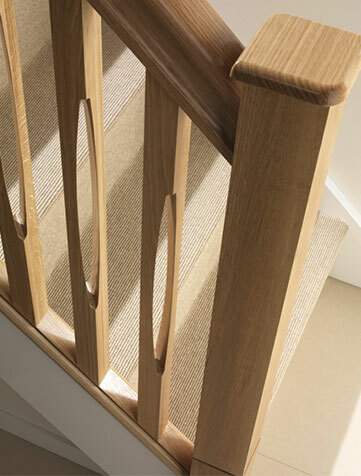 All of our contemporary wooden staircases are hand finished by our in-house French polishers with 4 coats of lacquer. 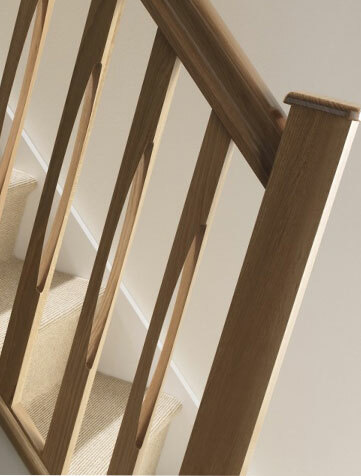 From a 0% matt finish to a 100% sheen that reflects like glass, a lime wash or the paint colour of your choice, we’ll create the perfect finish.